[UPDATED] Win Our Cinema Squad Comic-Con Prize Pack!! 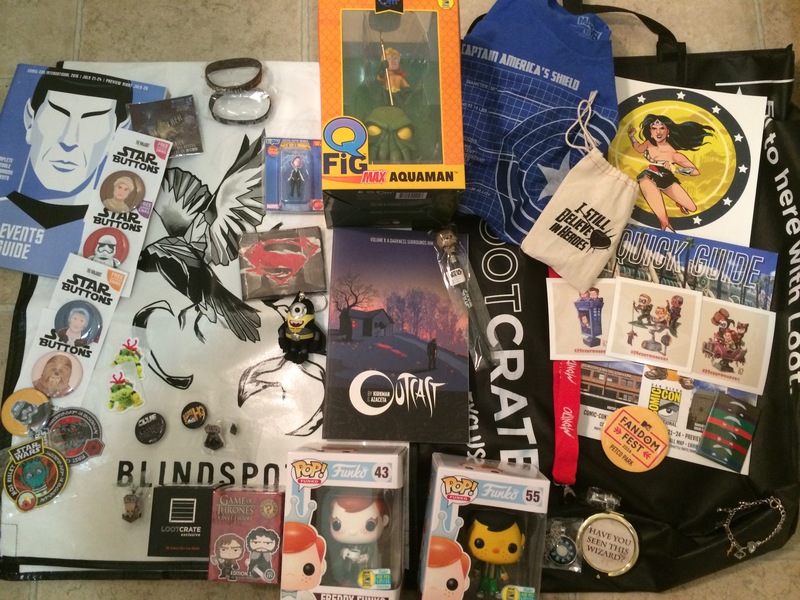 Win Our Cinema Squad Comic-Con Prize Pack! “Outcast: Volume 1” Graphic Novel – SIGNED BY ROBERT KIRKMAN! Simply go to our Twitter Page. And RETWEET the Entry Tweet. And that’s it! You’re entered! We’ll be choosing our winner at random on SUNDAY, AUGUST 21st during the recording of our Cinema Squad Podcast. How would you like to DOUBLE your chances of winning with a SECOND entry? It’s very simple: Just go to our podcast on iTunes, listen to the latest episode, then give us a quick comment & rating. And that’s it! Obviously, just by following & retweeting on Twitter enters you into the contest, but adding this rating & comment on iTunes will give you a SECOND entry. We’re half-way thru the contest! We’ll announce the winner in just TWO WEEKS! !